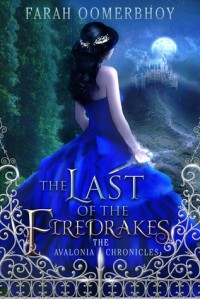 The Last of the Firedrakes (The Avalonia Chronicles, #1) - Jess Loves to Read! I received a free copy of this book from the publishers via NetGalley in exchange for an honest review. I loved this book! I'm usually not into stories with magical beings, and there are very few I can remember liking. This is definitely one of them! The story is well-written. However, at times the vocabulary is a little repetitive. That kind of irked me, but not enough to deduct a star. I am always disappointed when I read a book and find out that the next in its series has probably not been written yet. I am sad that I will have to wait a while to read the next one. I definitely recommend reading it, though!